Forty car markets from across the globe have agreed on a United Nations (UN) draft regulation seeking to make automatic braking mandatory. According to the Nikkei Asian Review, countries and regions including Japan, the European Union, South Korea and Russia, have all agreed to the UN draft. 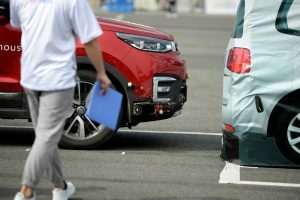 If the draft passes through, advanced emergency braking systems (AEBS) will become integral to all new passenger cars and light commercial vehicles from early 2020 onward. Such systems could help a car’s computer analyze other vehicles and obstacles ahead, and activate the brakes if there is danger of a collision. According to the UN, the immediate goal of the regulation is to reduce traffic accidents. AEBS is also a core technology of autonomous vehicles and could help usher in a new era of self-driving cars. Though the U.S., China and India are not participating in the program, if the UN rule takes effect, automakers that do not install automatic brakes may be unable to sell their vehicles in Japan, Europe and elsewhere. This could prompt manufacturers in countries not covered by the regulations to adopt the brakes anyway. According to the Economic Commission for Europe (ECE), automatic brakes reduce collisions during low-speed driving by 38%, and can save more than 1,000 lives per year in the EU alone. The commission says the new rules will apply to more than 15 million cars annually in the EU and more than 4 million in Japan. Automatic brakes are already installed in more than 60% of new Japanese cars: Brakes that detect pedestrians at night come standard on Toyota Motor’s high-end minivans, while Subaru uses a safe driving support system called EyeSight, which includes automatic braking. According to the Nikkei, the Japanese government is vying hard to install automatic brakes in 90% of new cars by 2020.